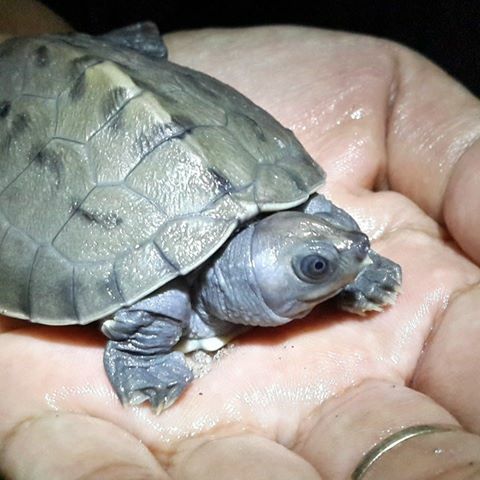 Three hatchlings of Painted terrapin (Batagur borneoensis) was born on 15 March 2015. These babies were born from a nest that secured on 3 December 2014. More eggs are expected to hatch in few days forward. The eggs are incubated in styrefoam boxes filled by sand and placed in our headstarting facility. Hatchling of Painted terrapin that hatched on 15 March.